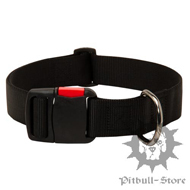 Pitbull Collar of Nylon, Buy the Strongest Dog Collars! 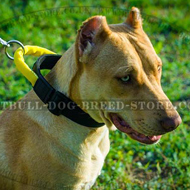 If you are looking for daily use all-weather dog collar for walking and training your Pitbull or Staffy, then nylon dog collar is the right choice for your pet. 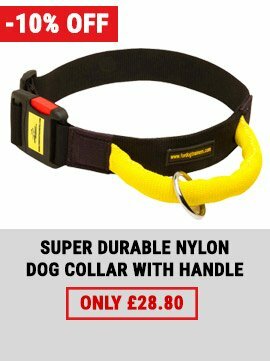 Nylon is super durable, reliable, waterproof and non-toxic material that is why nylon dog collars are very popular for their safety, durability and multifunctionality. 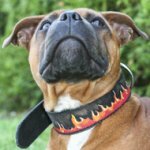 By the way, our nylon dog collars have unique design and stylish decorations, being also a fancy dog accessories at the same time. 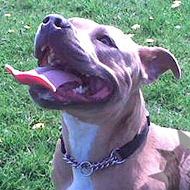 Measure your dog and fill all the fields while placing your order to get perfect size of the collar! 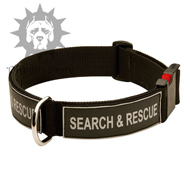 Buy any of these training dog collars with 10% discount. 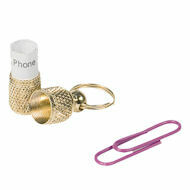 You need to put 7788 coupon number into the coupon field while placing your order at Pitbull shop! 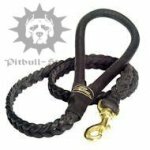 Our Pitbull shop has a fashionable collection of the best dog collars nylon for Pitbull, Staffy, Bull Terrier, Amstaff and other similar dog breeds, designed by our experts according to the international standards and due to the requirements of professional dog trainers and vets. 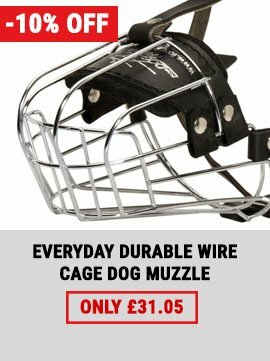 We use only a top quality durable nylon for producing our nylon dog collars and rustproof nickel-plated steel fittings. 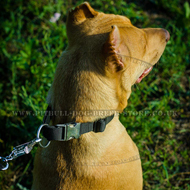 All nylon dog collars are hand made and carefully stitched dog outfits with hand set by a safe polished rivets fittings to prevent your dog`s hair tearing out. 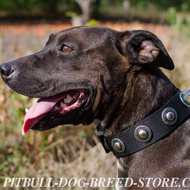 Your dog will feel a great comfort with our cool dog collar. 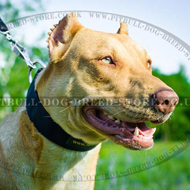 Choose a suitable nylon dog collar for walking and training your Stafford or Pitbull. 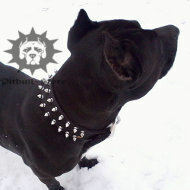 And our studded dog collars and spiked dog collars will perfectly fit even for a dog show. 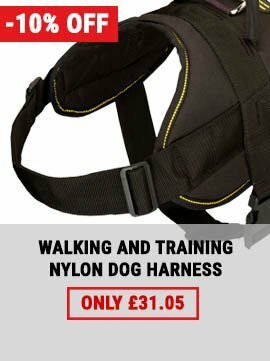 All nylon dog collars in our online pet shop are all-weather dog items, so you can use them in any weather. Got them yesterday. 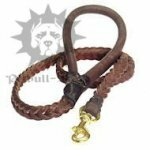 Thanks for the quick reply :) FYI: Great products @ great prices - we will definitely be order more as our puppies grow bigger. Thanks! !